Soak the rice for 1hour. Boil the jaggery separately with little water and set aside to cool it down. Heat the pan add ghee and cashew fry it for 20sec. Add milk wait till it starts boiling, then add rice and cook it well on medium flame. Keep stirring in between till it become’s thick. after the rice is cooked completely add jaggery juice and mix it nicely. Keep in the fridge for 30minutes and then serve. Garnish with almond, kismis, and dates. rumana ..really looks so delicious kheer.sure this jaggaery rice combination is superb..
Really looks so delicious kheer and very tempting. 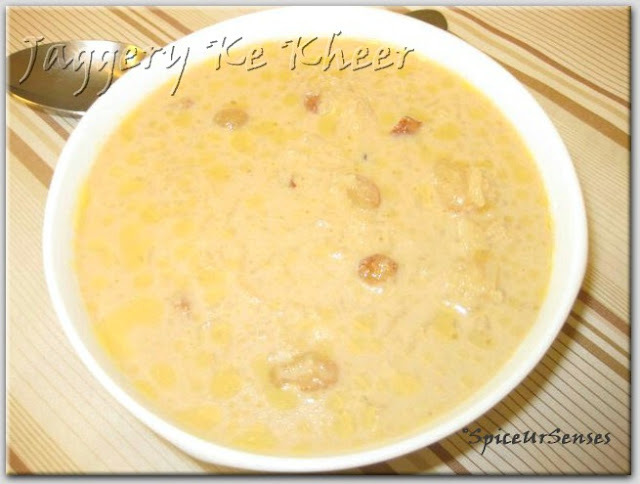 Absolutely delicious and tempting kheer..
Rumana,,payasam looks delicious dear very rich n creamy payasam dear..My mom also add lot of jaggery to payasam. Delicious looking and tempting kheer, Rumana. Would love to try this soon. Thanks for adding goodness to my collection of recipes. A Sunshine Award for you, www.thelonelyradish.com. Love this...looks awesome ,Rumana ! Its again soooooo healthy n delicious. You are very talented dear. i am drooling ...nice recipe! 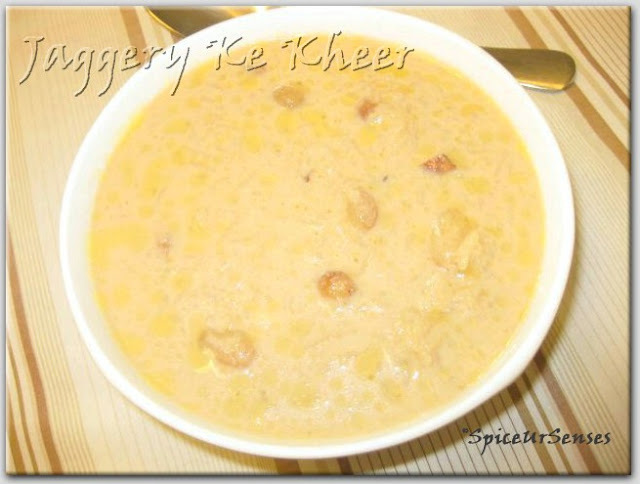 I love the rice kheer,it looks very delicious. WOW! I love this simple and delicious kheer..